The party of Burma's pro-democracy leader Aung San Suu Kyi has agreed to re-enter the political process and contest parliamentary elections. On Friday her National League for Democracy said it would register to run in the as yet unscheduled by-elections. The party boycotted the last polls in November 2010, the first in 20 years. Meanwhile the US is to send Hillary Clinton to Burma next month, amid what President Barack Obama called "flickers of progress" in the nation. Mr Obama spoke to Aung San Suu Kyi before deciding to send Mrs Clinton, who will be the first US secretary of state to visit in 50 years. BBC South East Asia correspondent Rachel Harvey says the developments are being seen as endorsements of the steps taken by the military-backed but civilian-led government towards political reform. The announcement followed a meeting of 100 senior NLD leaders in Rangoon. "We unanimously decide that the National League for Democracy (NLD) will register according to party registration laws, and we will take part in the coming by-elections," a party statement said. It boycotted the previous polls because of election laws that banned Aung San Suu Kyi - a former political prisoner - from running. But this regulation has since been dropped, and Aung San Suu Kyi said she now wanted the party to contest all 48 seats left vacant in parliament by the appointment of ministers. A spokesman for the NLD said it was likely that Aung San Suu Kyi would run for office. And the pro-democracy leader herself said she would do what she thought was necessary. "If I think I should take part in the election, I will. Some people are worried that taking part could harm my dignity. Frankly, if you do politics, you should not be thinking about your dignity," AFP news agency quoted her as saying. "I stand for the re-registration of the NLD party. I would like to work effectively towards amending the constitution. So we have to do what we need to do." 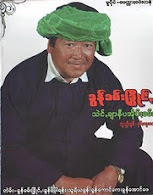 The NLD won elections in 1990 but was never allowed to take power. Aung San Suu Kyi spent years under house arrest but was freed a year ago by the new government. Since then it has entered into dialogue with her and freed some - but by no means all - political prisoners. Aung San Suu Kyi has given a cautious welcome to the moves, but says more progress is needed. Mr Obama echoed her view in comments at a regional summit in Bali. "Last night, I spoke to Aung San Suu Kyi directly and confirmed she supports American engagement to move this process forward," he said. During her visit, Mrs Clinton would "explore whether the United States can empower a positive transition in Burma", he said. "That possibility will depend on the Burmese government taking more concrete action. If Burma fails to move down the path of reform it will continue to face sanctions and isolation," he said. The US maintains economic sanctions and travel bans against members of the former junta. The announcement came a day after leaders of the Association of South-East Asian Nations (Asean) agreed that Burma could chair the regional bloc in 2014. Burma was passed over for its turn at the rotating presidency last time because of its human rights record. But Indonesian Foreign Minister Marty Natalegawa said member states believed Burma had made significant progress towards democracy.